Ashley Young For Bentley, Keane and Jenas – A Fair Swap? Rumour of the day: Tottenham want Villa winger Ashley Young – good young player, no doubt – and will offer David Bentley, Robbie Keane and Jermaine Jenas in return. 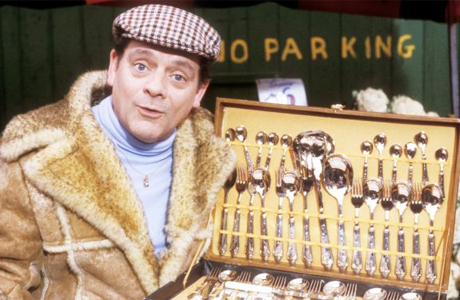 Classic Redknapp, always looking for a Del Boy deal. It’s a 1-for-3 deal for Spurs, and as good as Young can be, I think Villa do better here – Keane is still a class act, Bentley is inconsistent but an England international, Jenas is certainly no worse than Nigel Reo-Coker and might thrive back in the Midlands. I guess Arry really, really wants Young at the Lane. 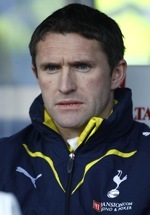 Not that I’m desperate to keep Jenas, but I’d accept losing Bentley and Keane in return for Young. Or how about Spurs offer Villa Bentley + £10m? Hell, throw in a double duvet set too. And some spark plugs. What do you think is a fair deal for both parties? harry could offer bentley,jenas and 10 million or the more bentley and 5 million (I think he would have more luck with the latter). Don’t include Jenas or Keane but they should offer Bentley and 5-10M. I think with the CL schedule this year…you’ll want defoe, crouch, AND keane for fitness concerns. If Villa lose Milner and Young…ouch. As a Villa fan – bad deal. Young is always providing goals/assists and is 25. Those three Spurs makeweights aren’t fit to lace his boots. Keane is past it and off the field is a nightmare, Bentley is bad attitude personified, Jenas…we don’t need another Sidwell. syndex, 10m + bentley, for ashley young??????????? so ashley young is worth 14m. i think not. none of these 3 have played consistently last year, and their combined value of 15-18m is still a long way off young’s market value.